Are you ready to be a winner?! 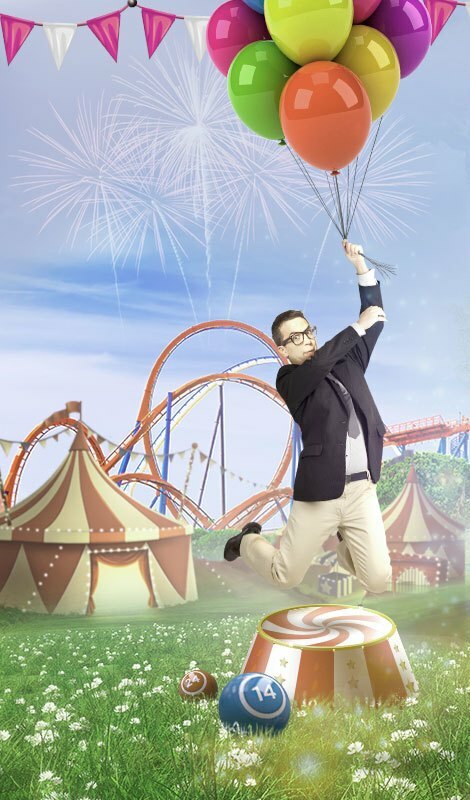 Play Excalibur for your chance to win exciting prizes! There are loads of exciting features that makes this game extra special and extra fun! To find out, just spin the reels and see what you’ve won! Learn more about the Arthurian era on Excalibur Slot at Gossip Bingo! 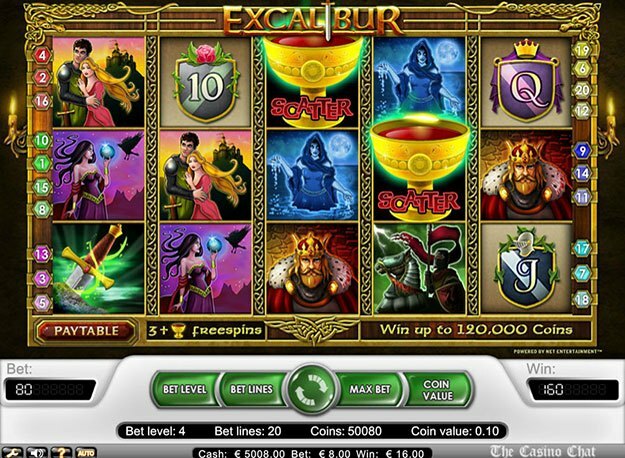 Relive the story of King Arthur and his magical sword, the Excalibur on this 5-reel, 20-payline slot created by NetEnt. It comes with Celtic designs and different symbols on the reels such as Merlin, King Arthur, Morgana, Guinevere, Black Knight, Lancelot and Lady in The Lake, as well as shields marked as A, K, Q, J and 10. Enjoy this trip to the ancient times on any device at Gossip Bingo! Adjust your stake on Excalibur Slot by selecting a preferred coin size on the Coin Value tab. Click repeatedly on the Bet Level, Bet Lines or Max Bet tabs to set your preferences. 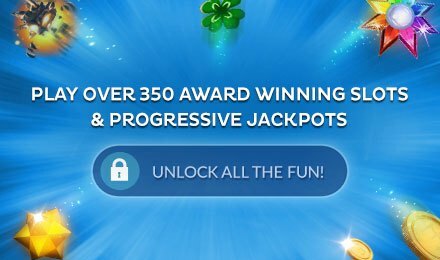 Hit the Spin button or make use of Auto Play to enjoy 15, 25, 50, 75, 100, 250, 500, 750 or 1000 spins played without any interruption. Bet Levels: One to four bet levels are available. Amount of Paylines Selection: Select 1 to 20 paylines for the game. Coin Values: The coin sizes on this slot are 0.01, 0.02, 0.05, 0.10, 0.20, 0.50 and 1.00. Excalibur Slot consists of a Golden Excalibur Wild which appears only on the centre reel and replaces any symbol apart from Scatter. It also quadruples your wins! The Holy Grail is the Scatter symbol which not only helps to trigger free spins, but also pays up to 2, 5, 25 and 500 coins for 2 to 5 of its kind, respectively. Three or more Holy Grails activate the Free Spins round. 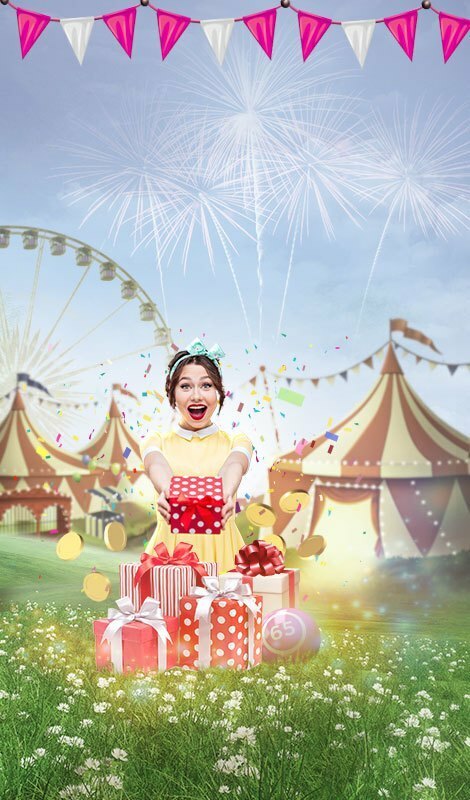 When 3, 4 or 5 scatters appear, 10, 20 and 30 free spins are awarded, respectively. The feature cannot be retriggered, however the payouts are tripled. The Excalibur symbol stands for Wild on Excalibur Slot. It forms winning combos by taking the place of any symbol, except Scatter and Golden Wild. The payout is also doubled. Discover the Arthurian legends while you enjoy Excalibur Slot at Gossip Bingo. Have fun and good luck!